Due to the nature of this item, please allow at least 48hrs for the item to be available if choosing our 'In Store Pickup' shipping method. When appropriate, areas with magazine capacity restrictions will receive a 10-round magazine substituted for the factory 30-round magazine. 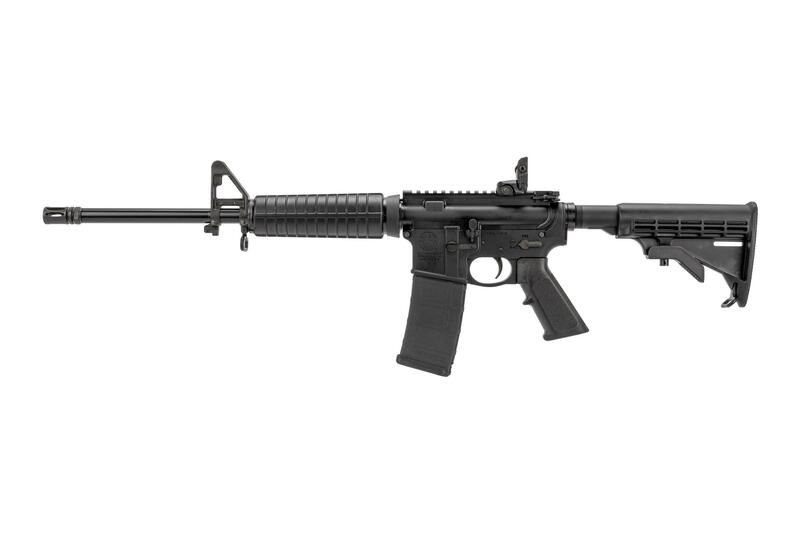 The Smith & Wesson M&P 15 Sport II Rifles are the ideal modern sporting rifle. 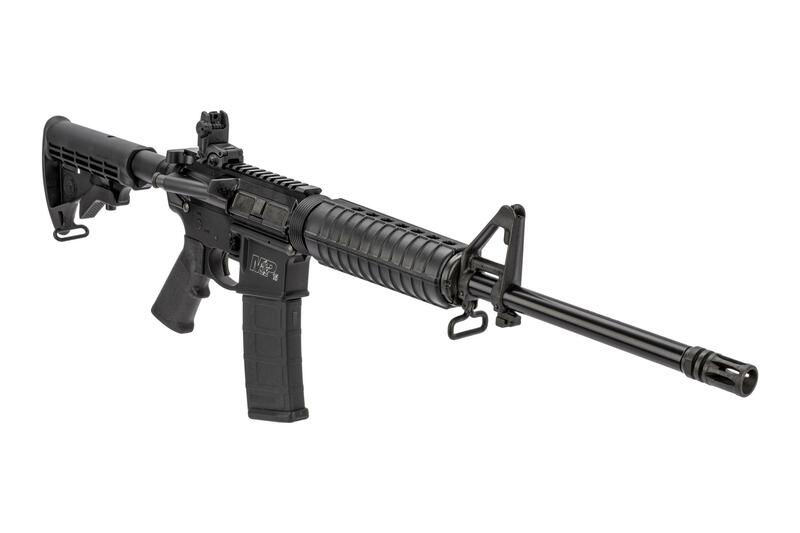 Built to perform multiple uses under various conditions, M&P15 Rifles are versatile as they are reliable. Engineered for a wide variety of recreational, sport shooting, and professional applications, M&P15 Rifles are lightweight and rugged embodying the best combination of function and form. 16" 4140 Chrome Moly barrel, with Carbine-Length gas system and Front Sight Base, finished in Armornite. 1/2x28 Thread Pitch with a 1:9 Twist Rate. Phosphate AR15 cut, Semi-Auto Bolt Carrier Group. Ships with A2 Flash Hider. 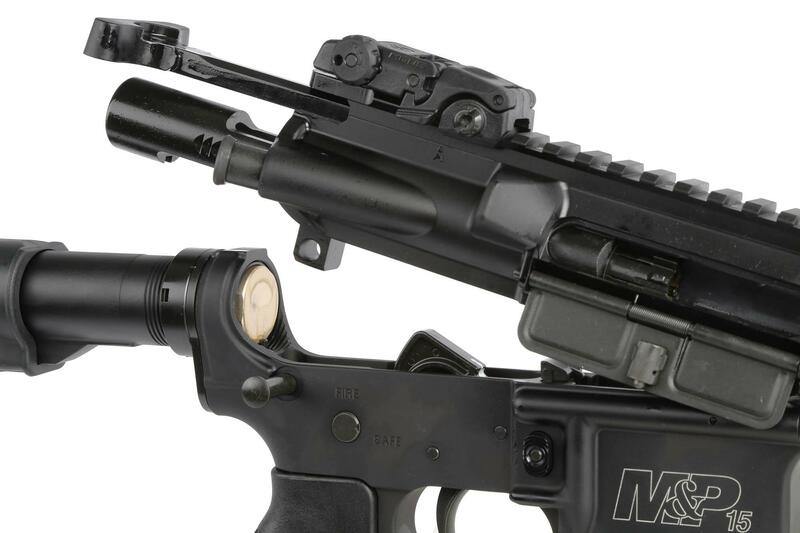 Includes Magpul Rear MBUS flip-up sight. A2 pistol grip, and safety selector. 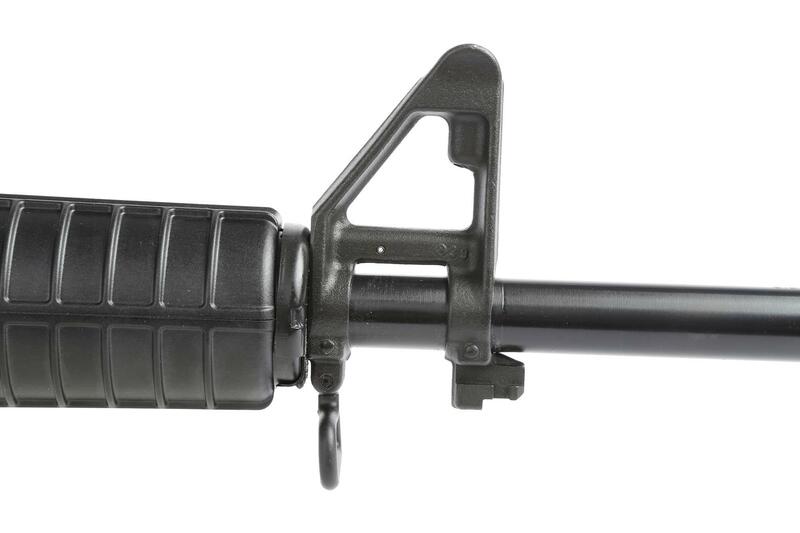 Ships with M4 collapsible buttstock. An industry leader since 1852, Smith & Wesson is one of the world's largest firearms manufacturers. With the release of the Volcanic pistol, the first American firearm capable of firing a fully self-contained cartridge, S&W cemented their name in history as an innovative firearms manufacturer. Through the years they continued to bring new designs loved by civilians, police, and military, eventually leading to their highly popular, striker fired M&P pistols. The variety of firearms from concealed handguns to precision bolt action rifles combined with S&W’s unmatched reliability and history are the reason they stand out from the crowd. After going thru YouTube to which is the best deal for entry level AR platform this is recommended by majority. 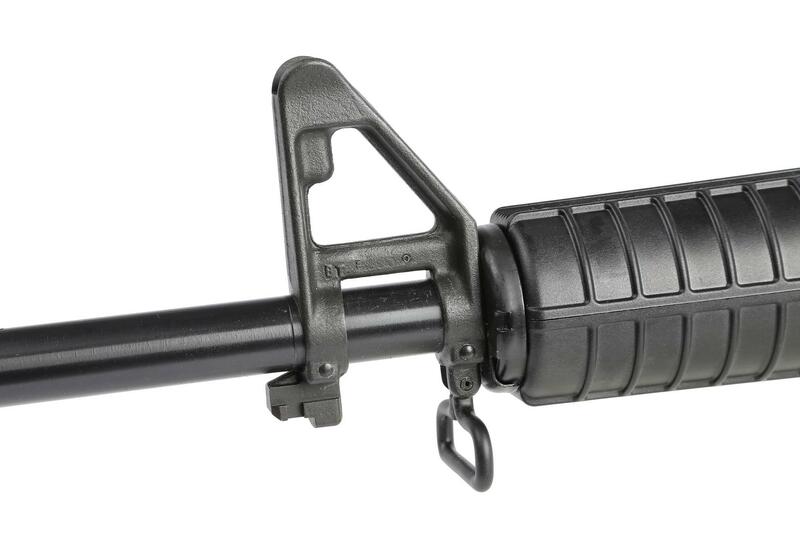 ( purchased mine on at a great price here) with rear sight included, you can't go wrong. This left me with enough budget to accessorize and maybe add ACSS optics in the near future. Beast deal out there bar none. Unlike other AR15's at this price point this one has everything. Dust cover, brass deflector, forward assist, and a Magpul MBUS flip-up rear sight. 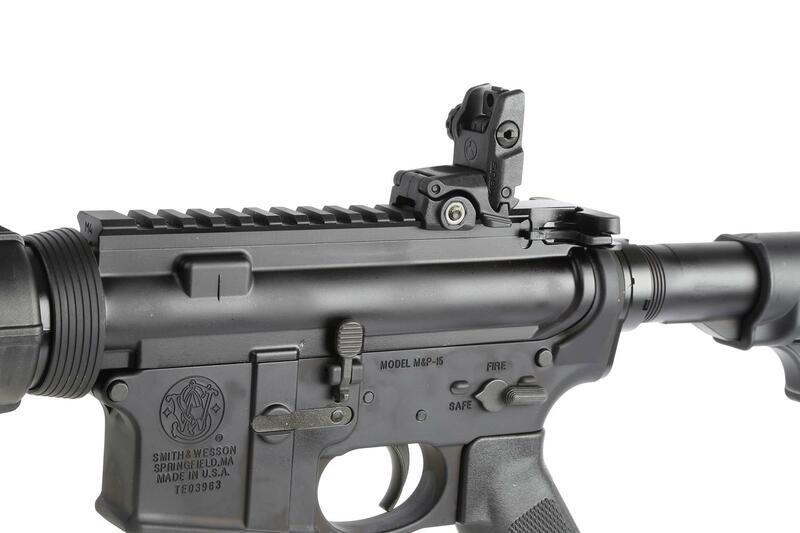 Many will offer a similar deal but no rear sight ($40-$50 add-on). 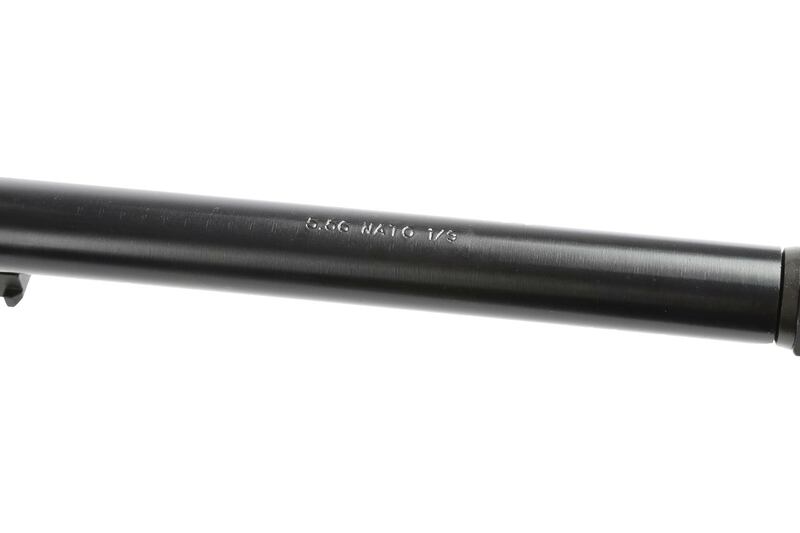 Barrel is nitride treated for maximum corrosion resistance and bore protection (Armornite). Backed by S&W's lifetime warranty. Shoots 1.5"-2.0" at 100yds easy. This my 2nd M&P Sport. 600+ rnds out of mine with no failures of any kind. What's not to like. After reading tons of reviews I settled on this for my first AR and I think I made a great choice. Out of the box I've fired over 400 rounds in 3 weeks no FTL no FTF and I'm hitting 1.5 inch at 25 yards with iron sights and old eyes. I highly recommend for the price it can't be beat.